and “Fly Fishing is a Joke” on TERRA. 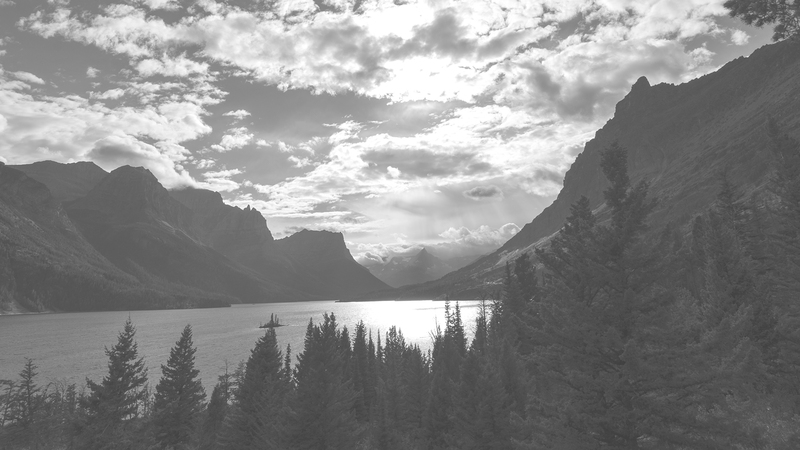 Then take a closer look at other films sponsored by Epic Montana. Henry Harrison is a graduate of the MSU Science and Natural History Filmmaking program. He’s worked on projects for a variety of clients including First Interstate Bank, Montana Office of Tourism, Polar Bears International, World Wildlife Fund, National Geographic, BBC, and many others. He is currently freelancing out of his office in Bozeman, MT. 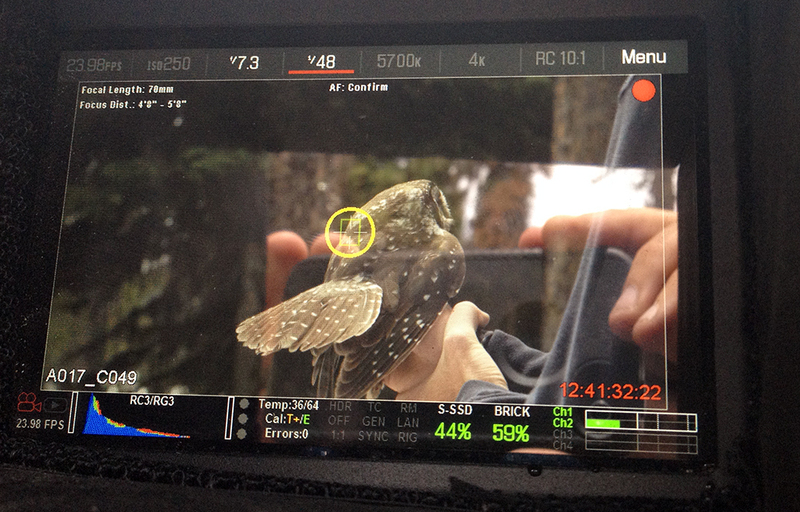 TERRA: What inspired you to make a film about Montana’s owls? 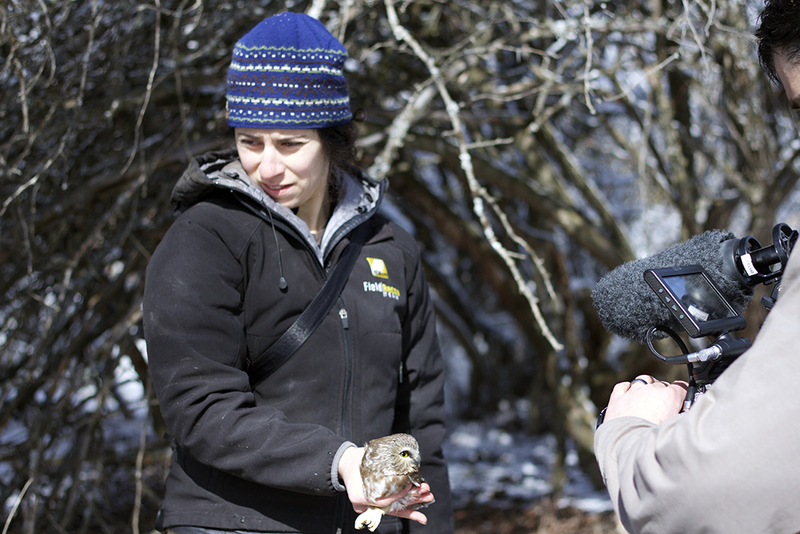 HH: I met Denver Holt of the Owl Research Institute up in Canada while filming polar bears for Polar Bears International. He was great speaking in public and a very interesting personality. At the time I was looking for a longer form project I could take on for myself. Denver’s institute is located a few hours away and he was willing to let me film and sleep on his floor. I have to give a shout out to the Montana Film Office. They provide some grant money that allowed me to put in more days and do the post-production on the two episodes. 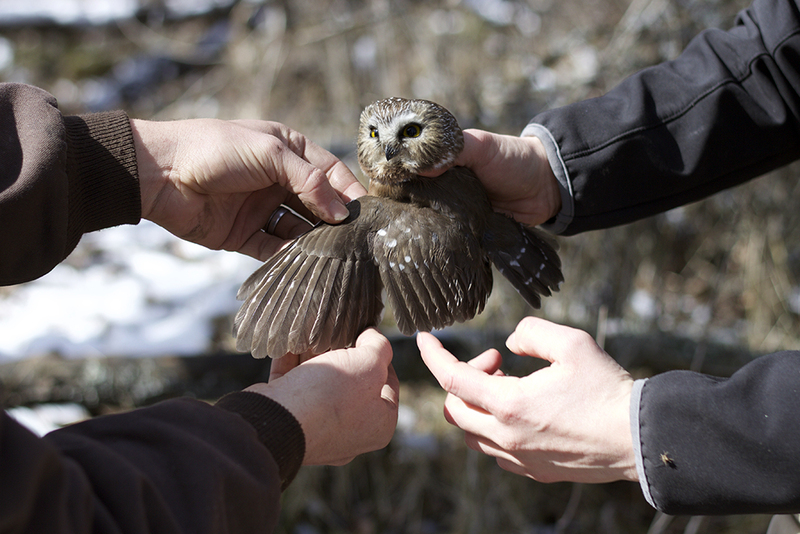 HH: Each day was a little different but in general, I’d meet the ORI biologists in the late morning and we’d drive to a location where the biologists would try to find and trap owls. The species are all a little different. 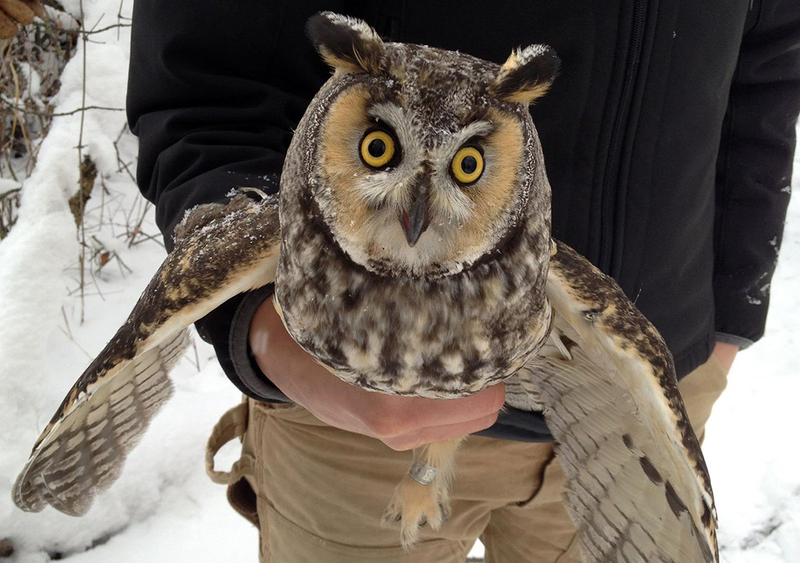 Long-eared and saw-whets were in dense willow thickets, short-eareds were in open grasslands, and boreal owls tend to be in higher elevation pine forests. 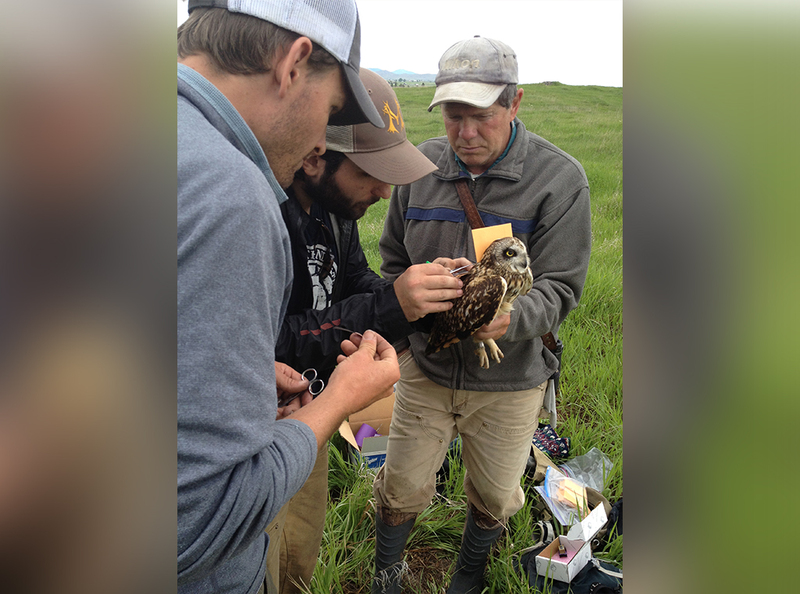 Once the owls were captured, chicks or adults, their data would be collected and recorded and compared with previous notes. Nests would be checked and locations and data recorded. 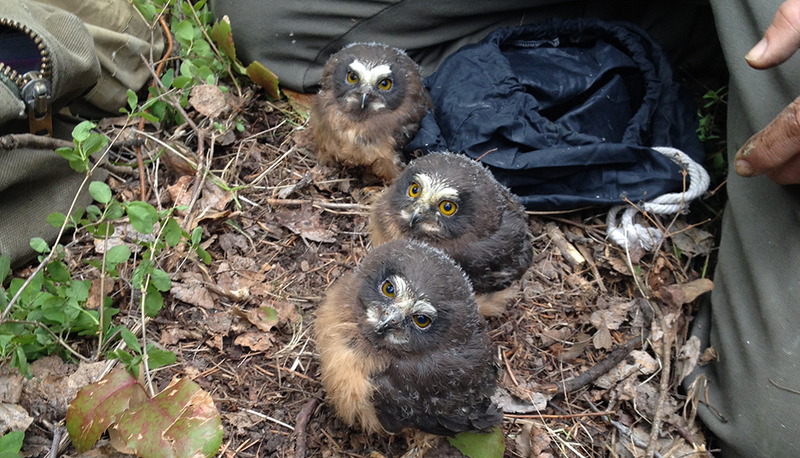 Afterwards, the owls would be released or placed back in the nests in case of chicks. 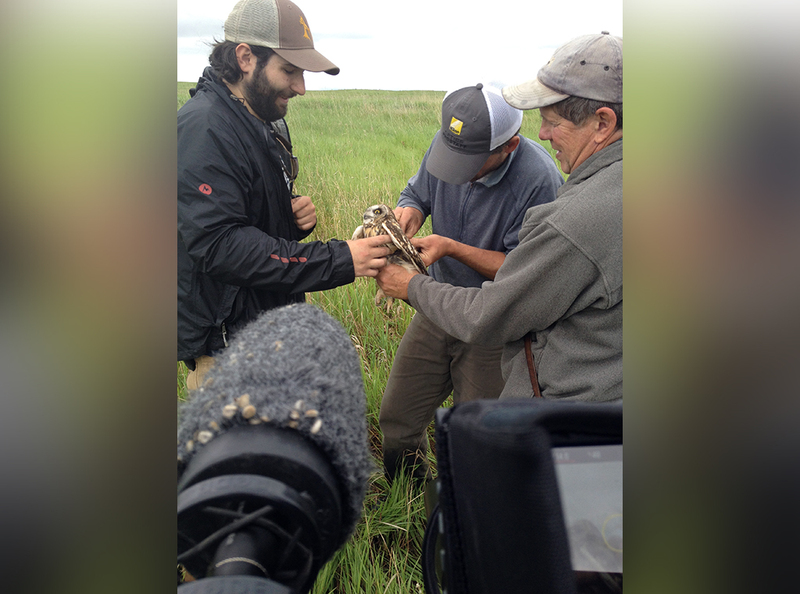 The biologists were extremely patient with me, giving me plenty of opportunities to film what I needed and answering all of my questions. TERRA: What surprised you the most about working with the owls? 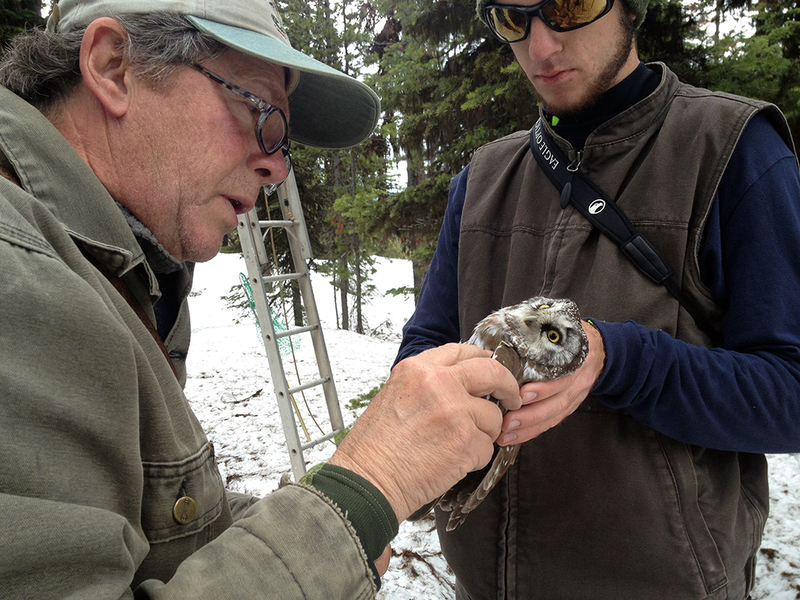 HH: I was most surprised by how hard the owls were to see at first and how accessible the owls were once I was given some pointers on how to find them. Short-eareds were especially easy to find once I knew where to look. Driving down dirt roads in grasslands in the early evening, I could find a few birds each night. 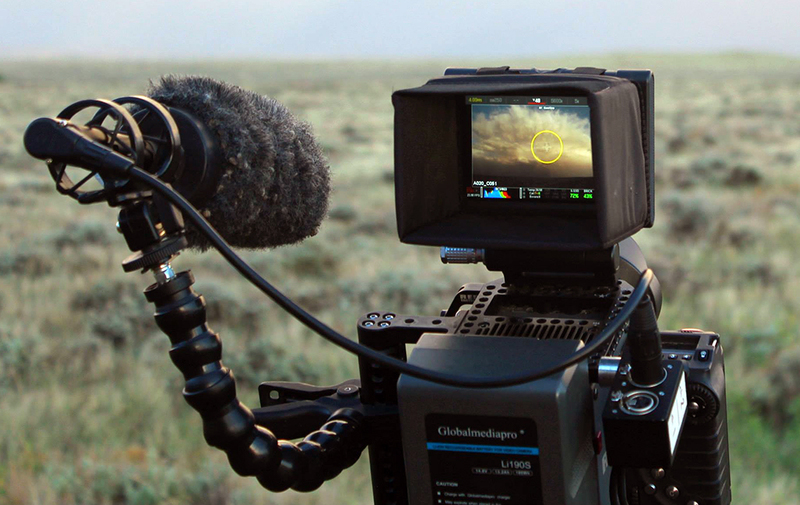 HH: I shot most of the footage on a RED Scarlet. Although it was a heavy rig to haul around in willow thickets, the footage is a joy to work with. Because it shoots raw, you can push it around in post very easily. My only regret was that I didn’t have access to an Epic. I also used GoPro cameras and Canon DSLRs. TERRA: Did you have any particularly rewarding or dangerous moments while making the film? 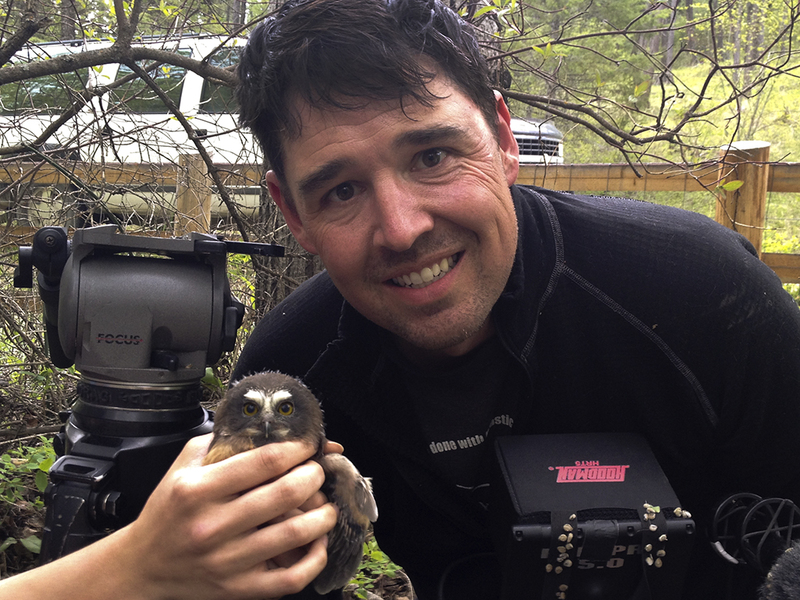 HH: The filming was never dangerous but it was pretty incredible to get to hold an owl in your hands and then release it and to film them from just a few inches away. Their eyes are mesmerizing. HH: A huge part of filmmaking seems to be problem solving. Most problems can be solved with gaffer tape and/or a multitool. Trash bags also are handy as make-do rain cover. HH: I wanted to go to exotic locations and film incredible moments in nature. In large part, I’ve been able to do that. 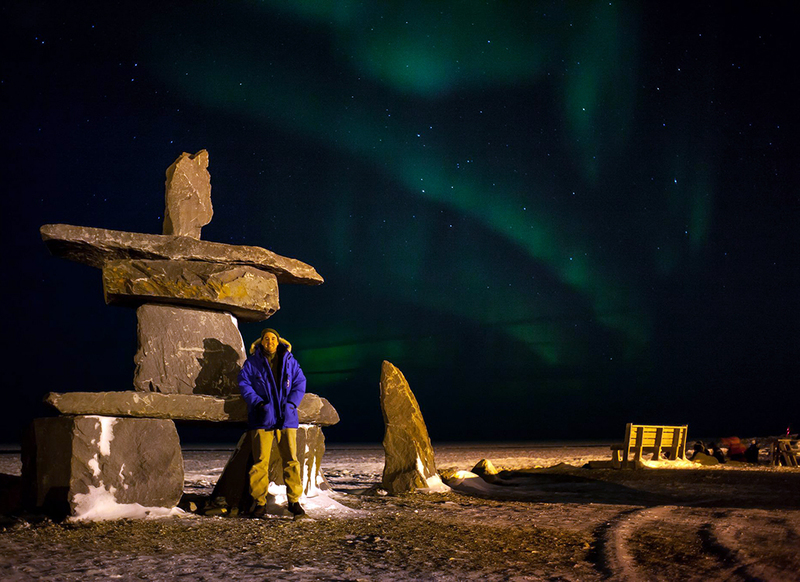 From Tierra Del Fuego to the Arctic Circle, I’ve gotten to go some really amazing places and film all sorts of interesting animals and people. HH: I guess my dream project would be one where I could commit myself totally to it from start to finish. There are always so many irons in the fire and constraints of time and money, that it would be a dream come true to be able to really immerse myself in a film without restrictions. HH: I think my favorite aspect of filmmaking is how much I get to learn from primary sources. 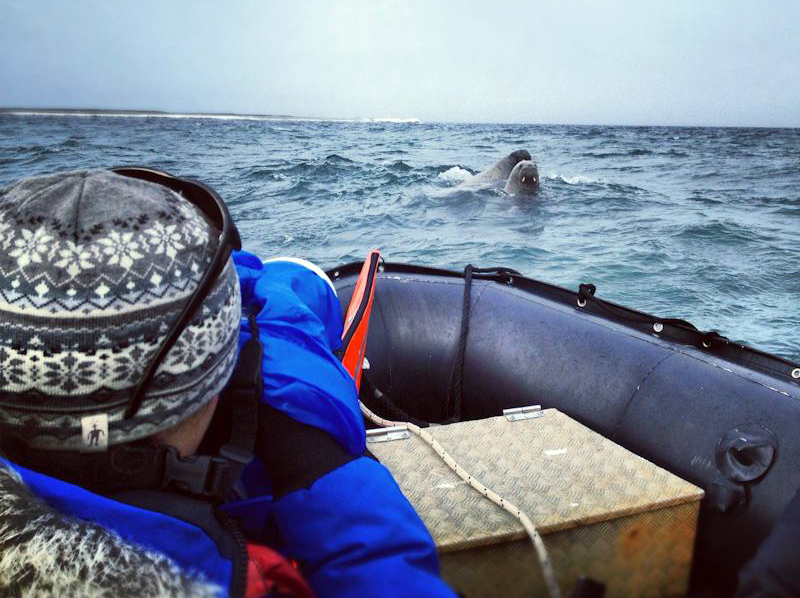 The biologists who work with these animals on a daily basis have some great stories to tell and the kind of behind the scenes information that isn’t in films or scientific papers. HH: Pretty much all the projects I’ve worked on have been learning experiences. I think my favorite location has been a trip to Svalbard. The scenery and wildlife there are incredible. Also, I got to sleep in a plush bed each night and eat plenty of great food. TERRA: What’s your favorite owl species? HH: I really love the saw-whets. They are shockingly small and their defensive strategy is to remain still so you can have plenty of time to film them, but really every species I got the chance to observe was amazing. 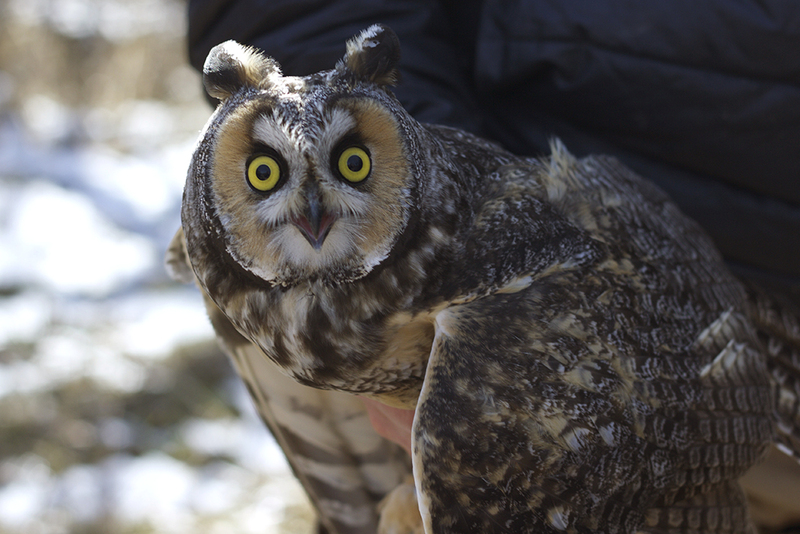 I would encourage everyone who’s interested to learn more and go out and observe owls wherever they live. HH: I would just add that all filmmakers should get out there and make films, films they are passionate about and can really sink their teeth into. Swing for the fences every time you can but the important thing is to make films.